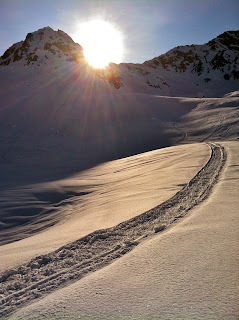 The first week of the Alaska trip filming for the latest Freeheellife Films movie, "Let's Go", was a roller coaster ride. We were coming into week two with apprehensive motivation, but ready to get after what we came for. Large lines. ^Cody Smith is shooting Spencer Jonas in some really cool treed cliffs at Alyeska Resort. We crushed a bunch of close ups and mini golf things while we were waiting for our window of opportunity to get back onto big slopes again. The ramping up process flourishes with patience and planning. 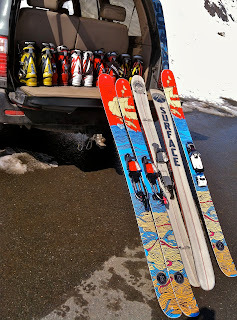 ^The gratuitous gear shot. Those are my Surface Live Free 181s right in the middle. Love those boards. Everything I needed and nothing I didn't in the big Alaskan backcountry. The early rise tip and tail were just progressive enough for my style, but not too much either. 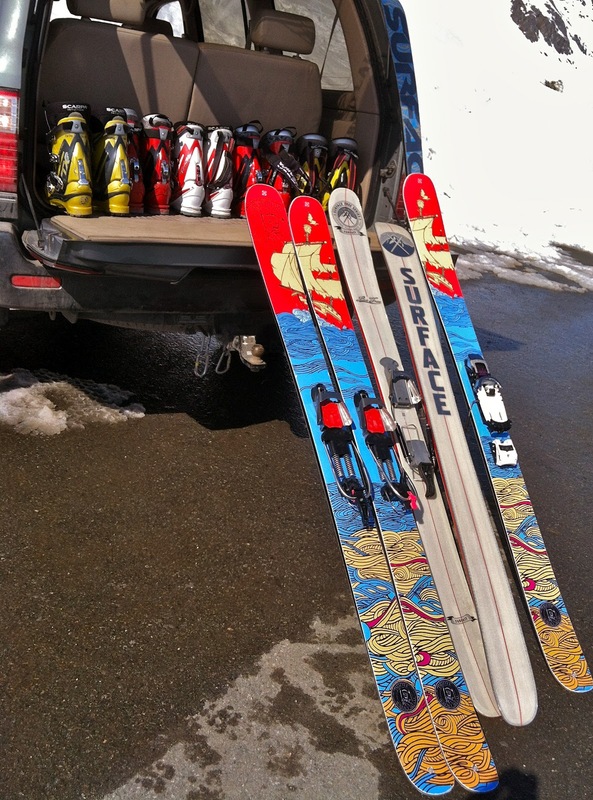 The other two skis are the Surface Drifter 191s. Big boys for sure, and with more shape too for Dave Magoffin and Andrew Schauer's liking. ^The gear up scene gets a bit chaotic with a six man crew and snowmobiles. "Did you see that strap I handed you?" Classic one liners all over the show. We don't move fast, but we like to think we move smart. We certainly did talk about, and make a lot of plans throughout the trip. Better too much communication then too little. That is for sure, "I'm not gonna lie." ^Getting out with mechanized assistance made our lives much more efficient. Days of approaches can get cut out off a trip with snowmobiles. They are expensive and cumbersome tools, but worth their weight in media gold when they work well. I still have managed to avoid the expense, but my Utah home is not quite as snowmobile necessary as these huge expanses are in Alaska. 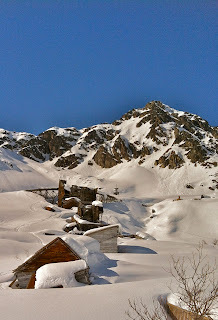 ^The approach to the zone that became our dreamworld was cut by 75% with the snowmobiles. Towing in is not all that easy itself, but we were turning five hour approaches into two hour ones all trip long. It really makes heavy time in these zones possible. I am almost sold. ^Coming out of the zones we had been working on this trip was further reinforcement of Alaska's dreamworld status. We spent four of our last five days ramping things up in one particular zone in the Talkeetnas. It took us four days to complete the whole process to be able to get into the biggest lines of the zone. We worked the area hard, and it paid off. After all of the avalanche reactivity earlier in the trip, we were definitely managing our lines with care. Therefore, we were all deathly afraid of what I have nicknamed, "The Great Pyramid of Death" because of it's avalanche consequences. I'd show you a picture of the giant avalanche funnel, but I think I should save it for the movie instead. The story is rich and obviously has a happy ending because I wrote this from my home office in Utah. However, I really look forward to telling it too everyone this fall in the new Freeheellife Films movie, "Let's Go!" ^On our last day we only had to film some interviews up at this old mine. 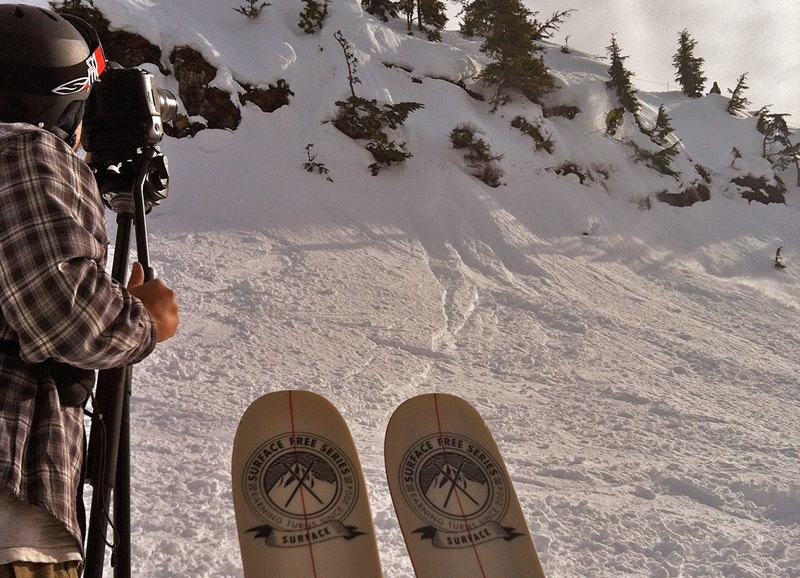 The spot was really cool, and it was a relief to be done with all the big gnarly terrain. It felt good to put the wraps on a really great trip. Interview time is always good for some light tomfoolery and goofball antics. We all think we are so funny, but mostly we just crack ourselves up. However ridiculous it gets, there are always a lot of good times and laughs. I am really proud of how well this crew was able to manage all of the turbulence of an Alaskan film trip. This place is big, wild, and amazing. This trip was the same. ^Home sweet home tastes really good after an epic like that trip was. Reflection on the drive brought me back to all the things that made the trip possible including the generous nature of a bunch of people that facilitated our journey. 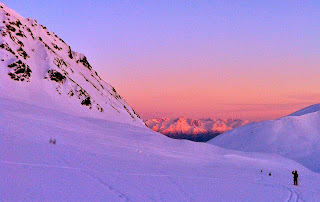 Beyond the six man crew there were many saints, such as Monica and Kyla Gurry, the Jonas family, Alyeska Resort, Brooke and Mike Welch, Lizet Christiansen, Aaron Kallas, the Canadian Hunter, and the guy who invented the long orange elastic ski strap. A lot of planets lined up to make this trip a success, and I can appreciate that.